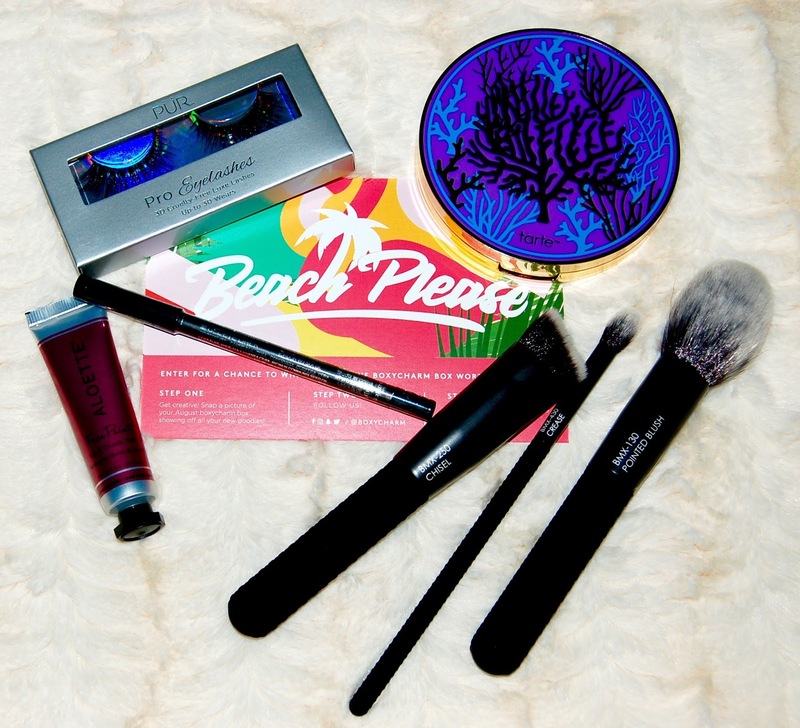 The theme of this month's box is Beach Please. I got the shade Ebony. I have more eyeliners than I know what to do with so I will be giving this one away. This is a lip and cheek tint. I'm sure it's pretty, but it seems a little high maintenance to use. I prefer powder blushes and regular lipsticks or other kinds of lip products with a wand so I'll be giving this away as well. These are really pretty fluttery false lashes. They are handcrafted with silk and cruelty-free! 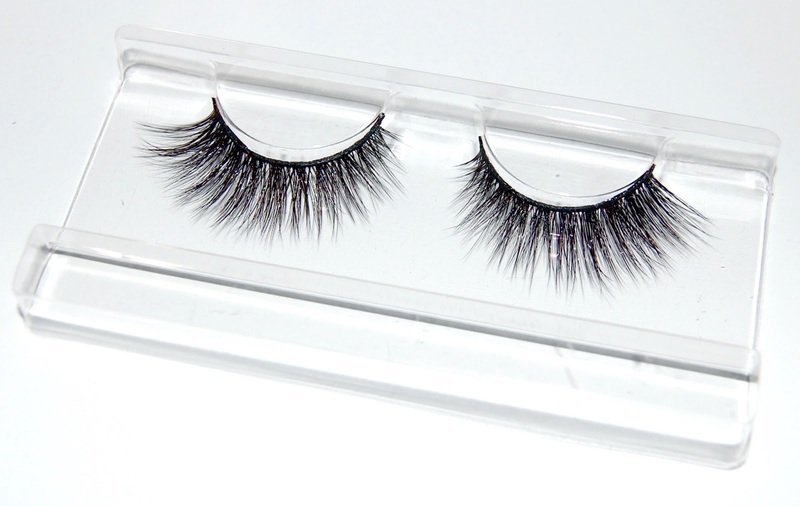 I don't often wear falsies but these will be great to have around when I need them. 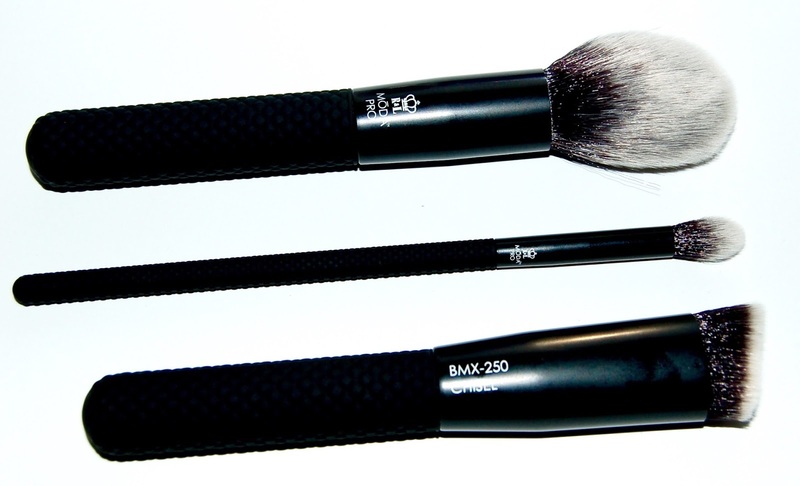 I can't believe we got a 3 piece brush set, and 2 of them are face brushes, that's amazing! 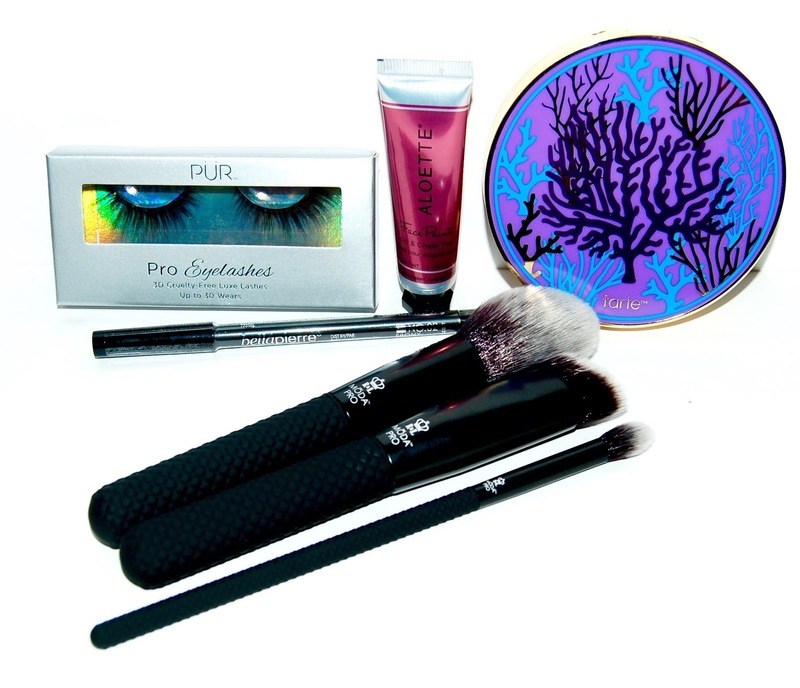 There's an eyeshadow blending brush, a large tapered brush which I will use to set my undereyes with powder, and chisel blender which will be great for contouring. These brushes are all very soft too! And now the star of the show! I think this is my favorite product that I've ever received in my Boxycharm box! 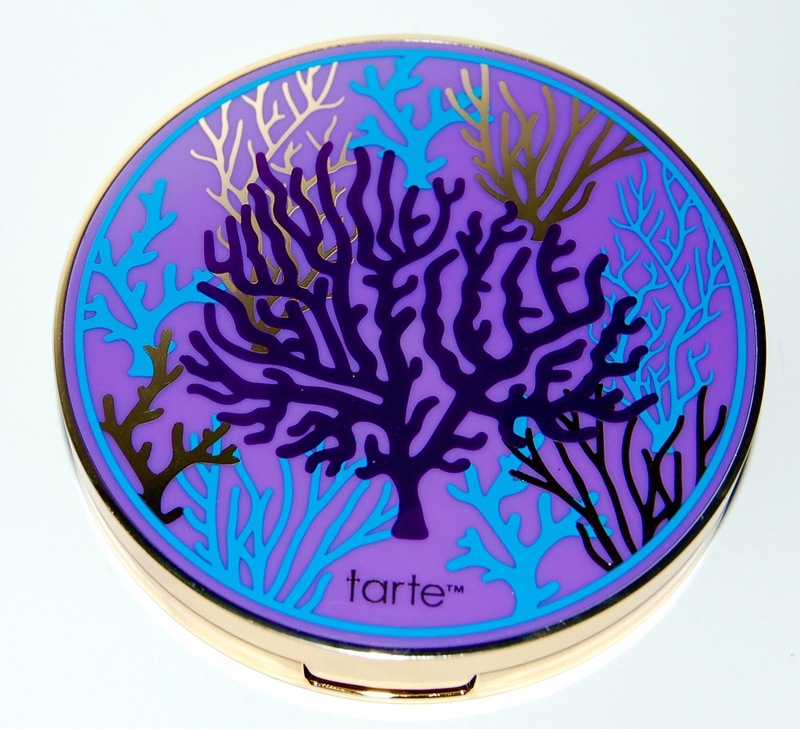 Tarte is a well-known and loved high end brand. 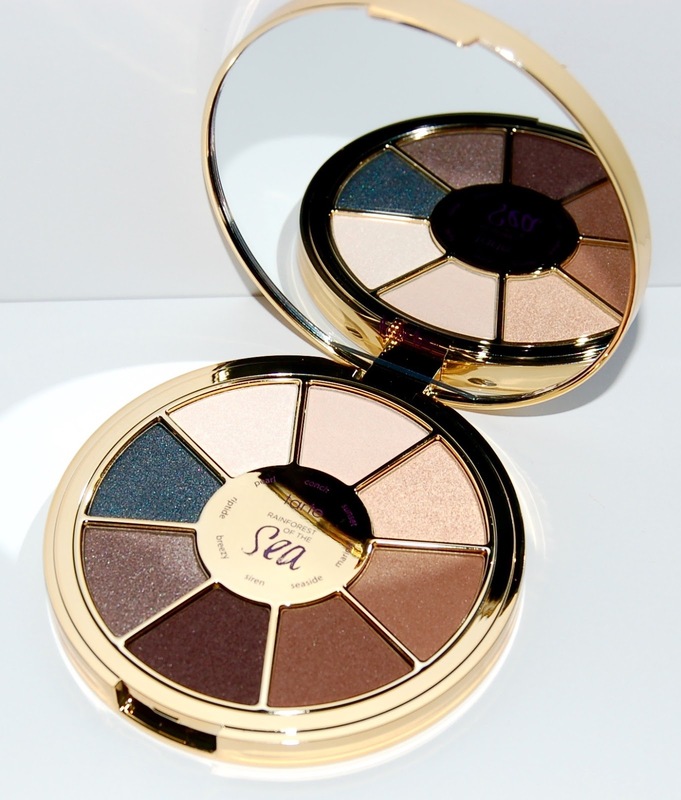 I've actually never tried Tarte eyeshadows so I was thrilled when I saw that we were getting this palette in our Boxycharm box this month! The shadows are super buttery to the touch. I plan to play with this palette this week and I'll let you know my thoughts! 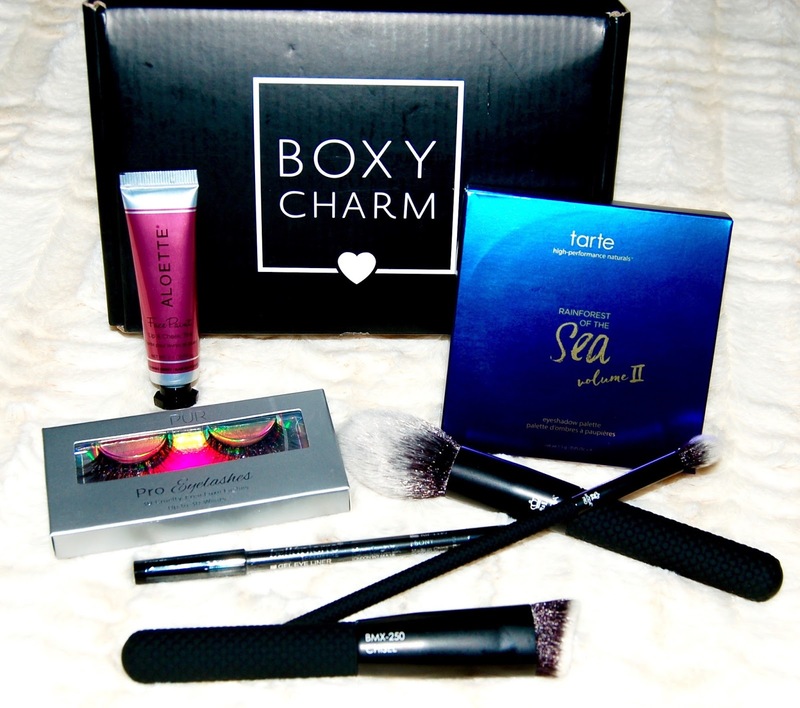 Wow just wow, this month's Boxycharm might be my favorite yet! While I'm not going to keep the eyeliner and lip/cheek tint, I'm super excited for the eye shadow palette and brushes! Each Boxycharm box costs $21, you can cancel at any time and shipping is free. The retail value of the items in this box comes to $126, that's 6 times the cost of the box!